What if she can't lay comfortably on her side, nor safely on her back? 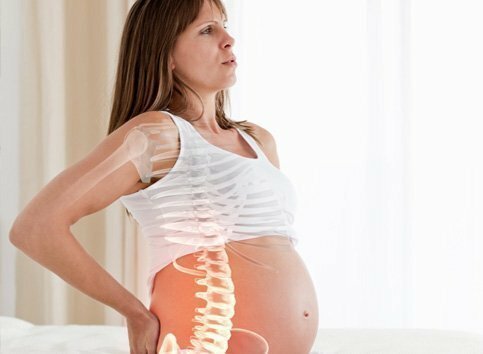 Do you know if your bodywork modality is contraindicated during pregnancy? What if she has uterine contractions during a session? Most practitioners see an occasional pregnant client, but few know the PRIMARY Concern, the Benefits, or the protocols that ensure optimum care for their client! Practice safely and effectively with greater confidence! Dispel the myths! Pregnancy Massage Fundamentals presents essential guidelines that improve your body mechanics, increase your confidence and offer your clients greater comfort. Pregnancy physiology that affects your bodywork practice. Ways to optimize circulation, decrease edema, and support uterine ligaments in sidelying position. This class is the First day of the 4-day 32-hour Prenatal Bodywork Training & Certification. ADVANCED CERTIFICATION: Combine this course with Prenatal Bodywork Training, and Massage & Acupressure for Birth, along with a written exam, a project, and case studies, to receive the 65-hour MotherTouch Maternity Massage Certification. Below is a list of classes which are open for registering at this time. You can view more information about an class by clicking on its title. I teach nationally and worldwide. Contact me to host a class in your area.